THE TRUE VOICE OF ELVIS | Love Productions Inc. Shortly after leaving the service, he entered the Worldwide Elvis Impersonators contest at Bad Bob’s Vapor’s in Memphis Tennessee, walking away with the First Place Crown as, “The World’s Best Elvis Tribute Artist”. Subsequently, after a successful audition, he joined the famous Las Vegas tribute Show “Legends in Concert” and worked with them for 7 years “The King”, performing in such sundry locations as The Bahamas, Puerto Rico, Jamaica, The Virgin Islands, Aruba, Bangkok, Hong Kong, Moscow and many U.S. and Canadian locations! Afterward, he began touring the US and the world, with his own shows. 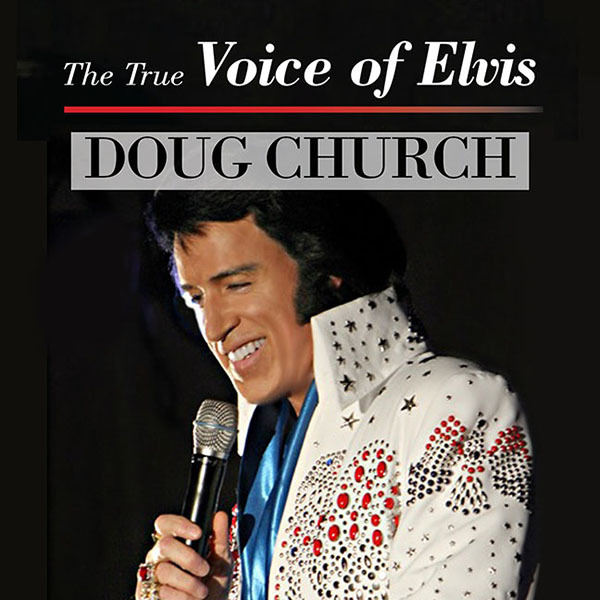 He has awed his audiences for years, leaving them totally mesmerized and shaken, by one of those voices in particular- that of Elvis Presley… Doug’s voice has been acknowledged by fellow ETA’s as being the closest to “The Kings”. Doug travels extensively throughout the world as well as the US and Canada, performing with his band, “Kentucky Reign”. He also performs with backing tracks or with full symphony/pops orchestras. He is known worldwide as “The TRUE Voice of Elvis” by not only his fans and other ETA’s, but by those who knew Elvis personally, and is regarded as an Icon in the industry.